There is cycle parking and visitor car parking available outside the building. 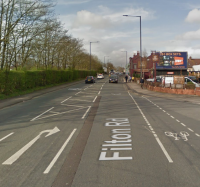 Do please make an effort to attend the South Gloucestershire Cycle Forum if you can. It’s important that there is representation from a wide range of people and groups. Those choosing to cycle in South Glos can often feel like poor relations in one of the most congested and car dominated areas of the city. We need to work even harder to get our voices heard, and to speak for the 2/3 of Bristolians who feel the roads are not safe for cycling. 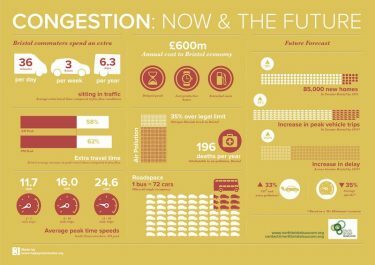 However there are of course some well signed quietway routes, and welcome representation from the largest businesses and employers in the North Fringe through the excellent North Bristol SusCom, who produced this infographic Congestion: Now & The Future. The next South Gloucestershire Cycle Forum meeting is to be held on Tuesday 14th March (6pm), hosted by the University of the West of England, at their Frenchay Campus. 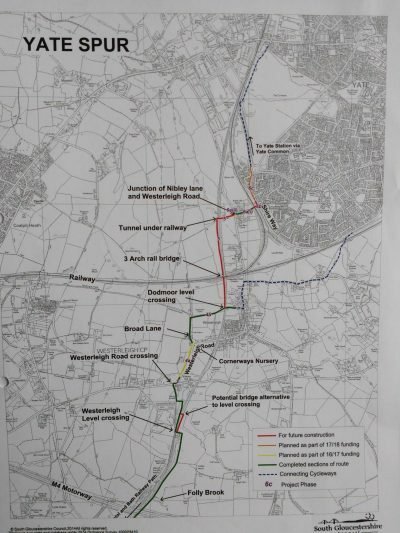 Items on the Agenda include the forthcoming works on Bromley Heath Viaduct, and updates on South Gloucestershire’s work to encourage sustainable travel through the Sustainable Transport Transition Year and Access Fund programmes, as well as an opportunity to speak about cycling issues during our open forum session. See attached agenda, together with minutes of the last meeting. The meeting will be in Northavon house on the UWE campus, directions can be found in the link below. Secure cycle parking will be available in their cycle hub, and those driving can park without charge in Carpark 2 or 3. They take place between 6.00pm and 8.00pm at Bradley Stoke Leisure Centre (the crèche). Further information on Forums under our Get Involved menu.